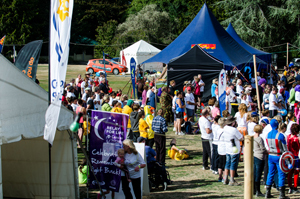 Relay For Life is an inspiring community event that gives everyone a chance to celebrate cancer survivors and carers; remember loved ones lost to cancer; and fight back by raising awareness and funds to support the work of the Cancer Society. 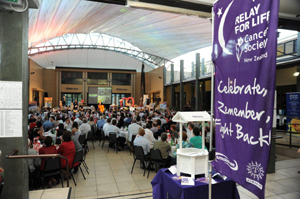 Relay for Life is Property Brokers principle sponsorship. We've been involved since the beginning and we are unbelievably proud to contribute to the fight against cancer. Have a look a the video of this incredibly special event. 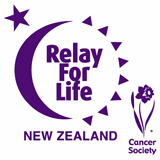 Property Brokers are proud sponsor for Relay for Life since it came to New Zealand in 2001! Cancer is something that touches everybody’s lives and the wonderful thing about Relay is that it not only raises enormous amounts of money for the Cancer Society and their fight against this terrible disease but also celebrates the survivors and the great stories from people battling to overcome Cancer. If you have been a part of the candlelight ceremony for the survivors at dusk you will know what a truly special event this is. As the inaugural sponsor when Relay was first held in 2001 right here in Property Brokers Country we've seen this event grow and develop nationally and have grown our involvement accordingly. Every year Property Brokers people from Palmerston North, Hawkes Bay, Wairarapa, Wanganui and the Central South Island run as series of events to generate funds for the big day. The Race to the Brewery is a multisport event run in the Manawatu. Whether you’re a serious athlete or just love to have a laugh you can bike, run and walk your way from Property Brokers Palmerston North to the Tui Brewery in Mangatainoka. The Gala in the Wairarapa is now an annual fixture on Masterton’s calendar and a fantastic day where the community really comes out on mass to have fun and raise money. The great Hawkes Bay Charity Auction has become something locals look forward to every year. Generous supports donate fabulous lots and all the money raised goes directly to the Relay for Life.